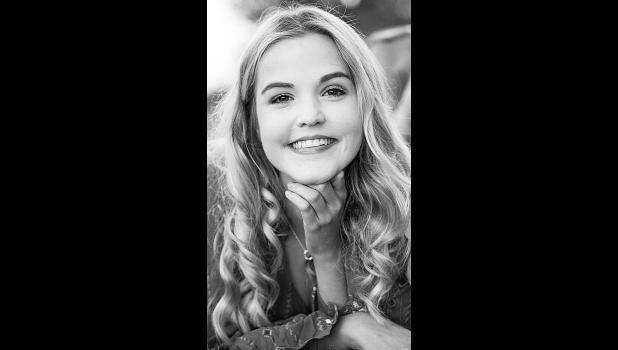 Madison Eileen Taliaferro, 18, of Holton, passed away peacefully with her many family members by her side on Saturday, Dec. 15, 2018, at St. Louis Children’s Hospital in St. Louis, Mo., after a courageous, long-fought battle with cystic fibrosis. Madison was born Sept. 16, 2000, in Olathe, the daughter of Michael D. and Desiree D. (Razak) Taliaferro. Madison was a senior at Holton High School and had attended Washburn Rural High School in ninth and 10th grades. She was an active “high schooler,” as a member of Resist, SADD, JCYC, Unity Task Force, Notables, S.A.F.E., Forensics Team and Vice-President of her senior class. She was also Holton High School football manager, a youth counselor for Tallgrass Christian Camp, a member of Central Church of Christ and member of the youth group. Madison was First Aid and CPR certified and a Gift of Life speaker. Survivors include her parents, Mike and Desiree Taliaferro and brother, Keegan Taliaferro, all of the home; maternal grandparents, Galen and Shari Monaghan of Holton and Virgil and Becky Razak of Wakarusa; paternal grandparents, Don and Ruth Taliaferro of Topeka; maternal great-grandmother, Sandy Studebaker; aunts and uncles, Brett and Allie Summers of Holton, Jesse and Andrea Razak of Berryton and Jason and Amber Taliaferro of Topeka; seven cousins, Olivia and Emma Summers, Caden and Harper Razak and Mira, Ava and Molly Taliaferro; beloved dogs, Sadie, Sophie, Chloe and Cooper; boyfriend, Ethan Teter; and best friends, friends, classmates and many doctors and nurses. She was preceded in death by her donor, Alex Lott. Madison’s family would be honored for anyone to attend her Celebration of Life that will be held at 11 a.m. Friday, Dec. 21 at Holton High School. Burial will follow in Holton Cemetery. Visitation and viewing will be held from 4 p.m. to 7 p.m. Thursday at Mercer Funeral Home in Holton.